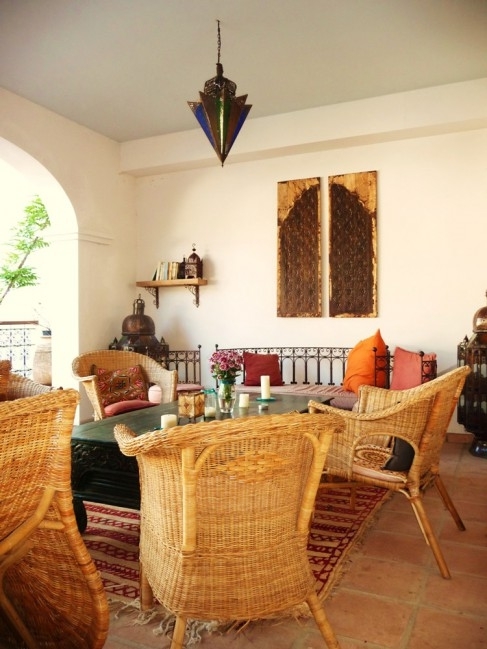 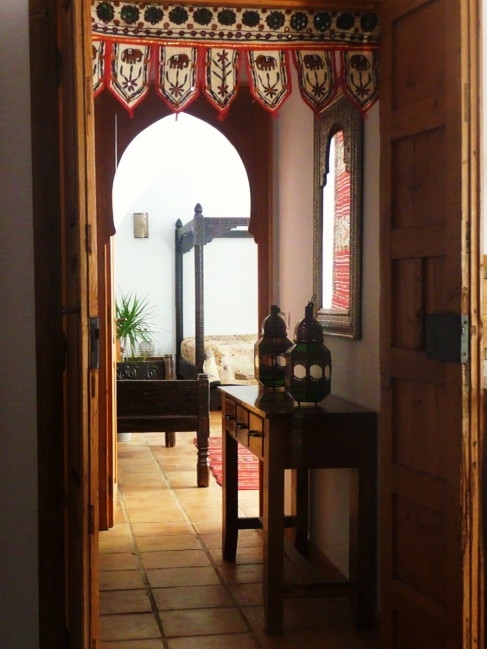 Cortijo Ándalus is the perfect big house rental in Andalucia, Spain, for large groups of family and friends looking to holiday together. 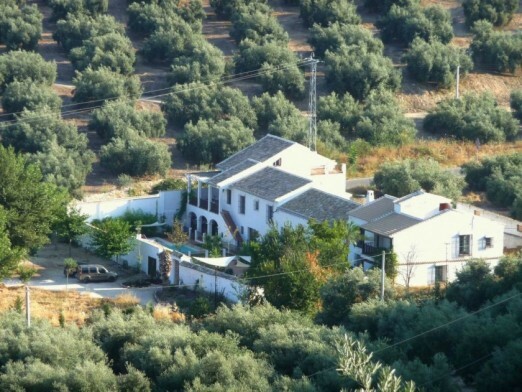 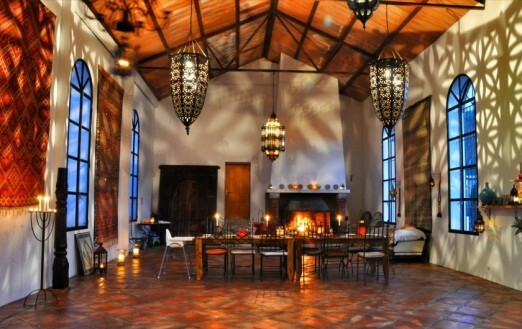 It was an old olive mill that has been converted into a house and 3 apartments. 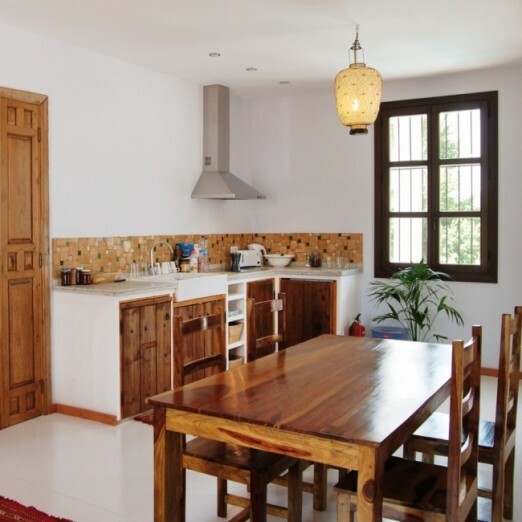 The main house with a large kitchen, living/dining area, and 2 bedrooms, one with ensuite shower room and the other with bathroom. 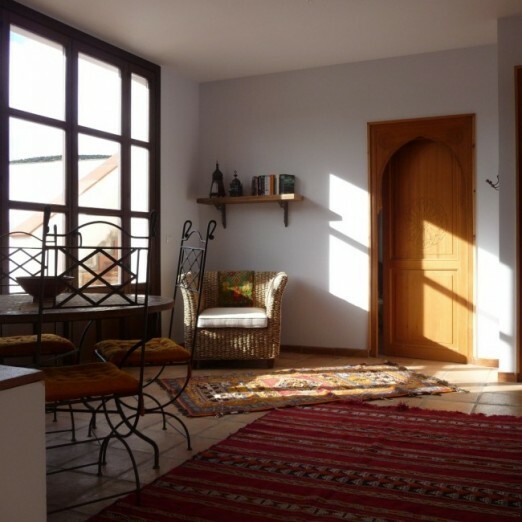 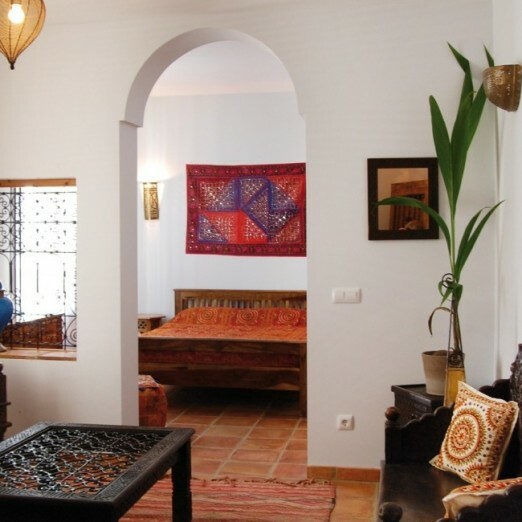 The Berber apartment (ground floor) which has a kitchen/dining room and 2 suites (Patio and Garden). 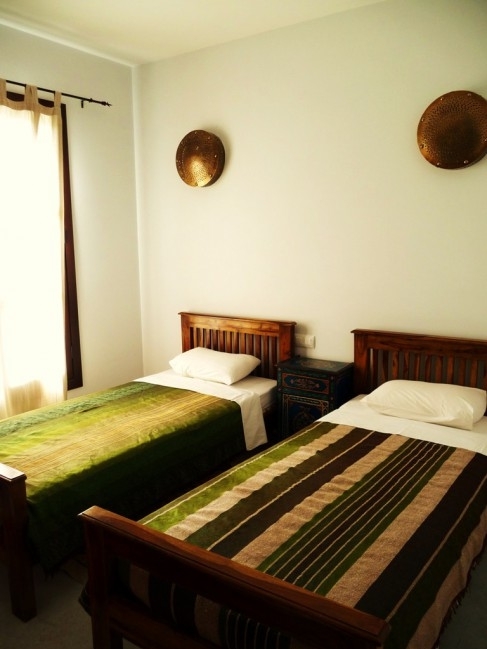 Each suite has a large double bed and plenty of space for an extra single bed or two. 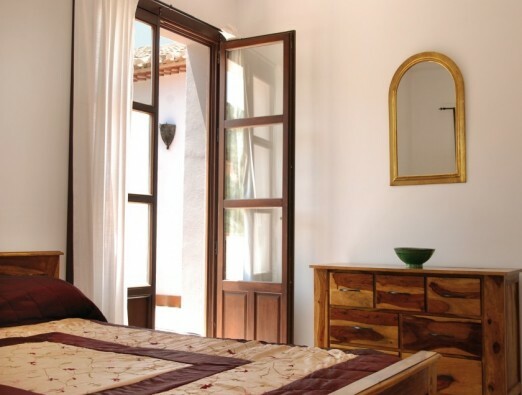 The patio suite and its shower room are wheelchair accessible. 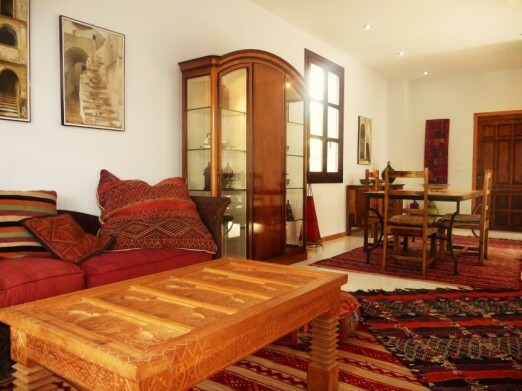 The Fes apartment (first floor) has two twin rooms and a suite, each with ensuite shower rooms, as well as a kitchen/dining area. 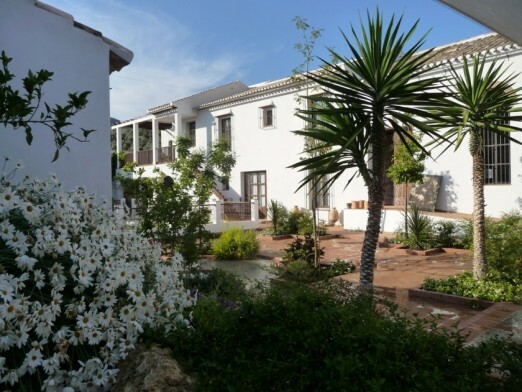 The White apartment has a beautiful and large open plan kitchen/dining/living area, a double bedroom with ensuite bathroom and a bedroom with 3 single beds and a shower room. 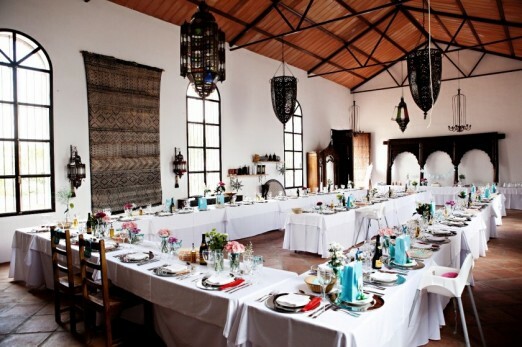 There is a large hall of 140m² with huge fireplace, lounge and games area (pool table, table tennis and table football) that is ideal for dining, parties and celebrations. 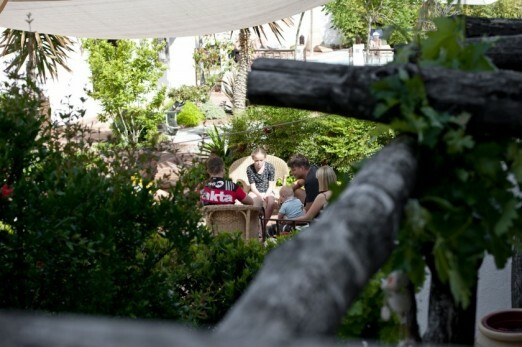 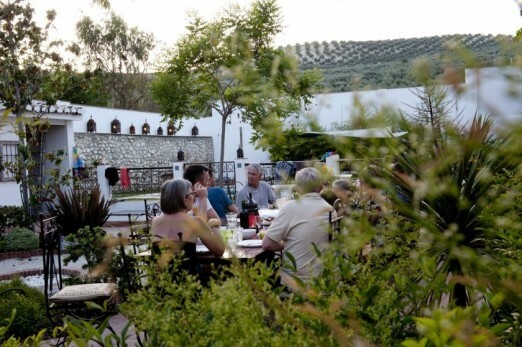 There is also another 70m² lounge overlooking the pool that has wifi internet and satellite tv and there are 2 patios to the rear of the Cortijo which are perfect for dining outdoors with barbecue. 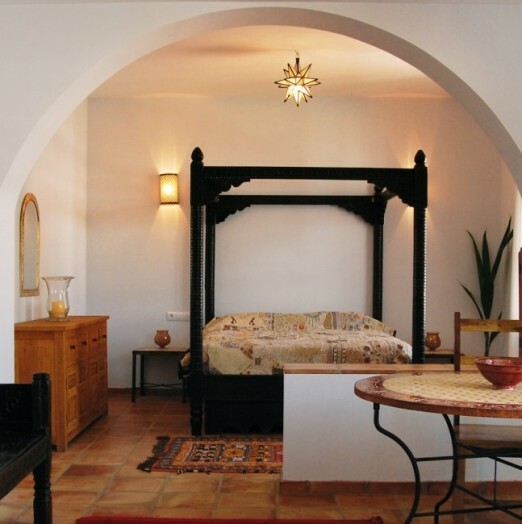 Go to the accommodation page and click on the ´download accommodation/floorplan´ tab to see the distribution of rooms at cortijo andalus. 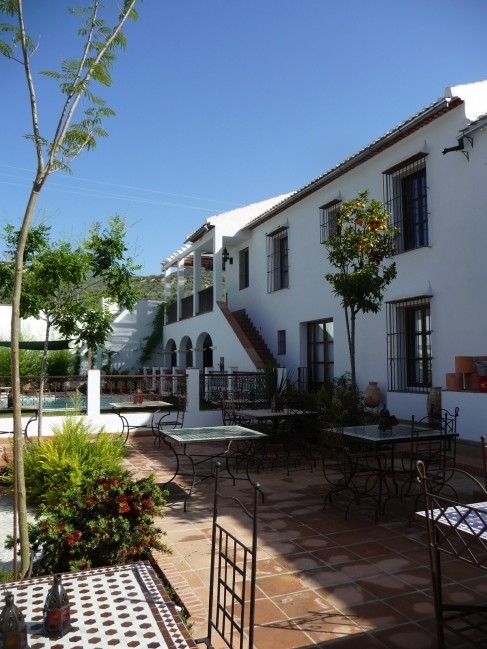 Cortijo Ándalus is a stunning big villa for rent in the heart of andalucia perfect for large groups looking for a self catering holiday. 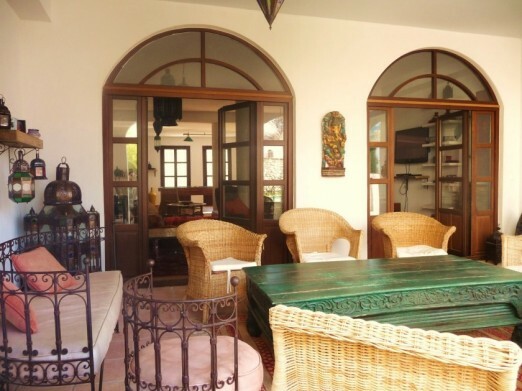 It has 9 spacious, beautifully decorated bedrooms, a private pool, gardens and plenty of communal and private spaces and can easily accommodate up to 24 people. 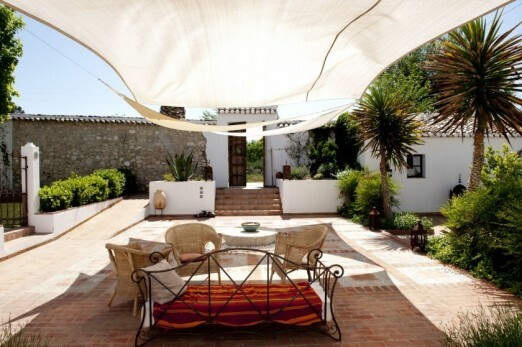 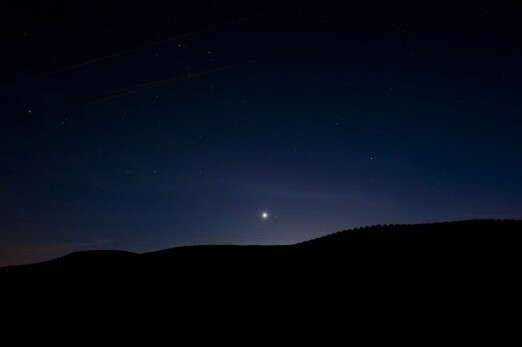 Just an hour from Granada, Cordoba and Malaga and 5 minutes from the mountain top village of Iznajar. 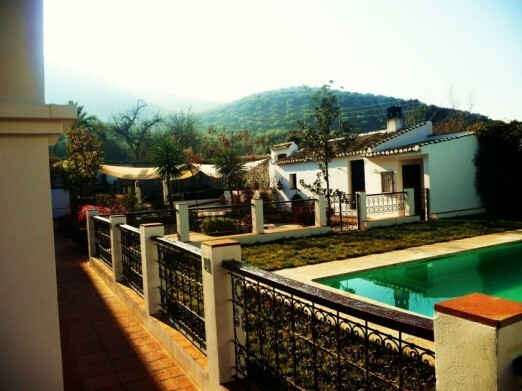 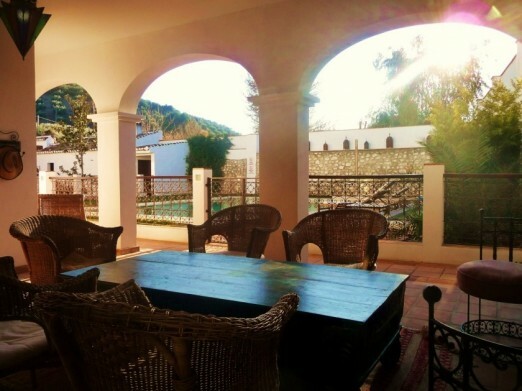 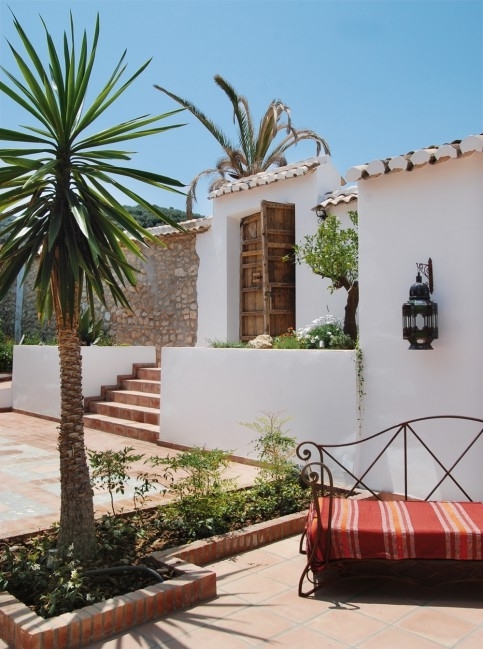 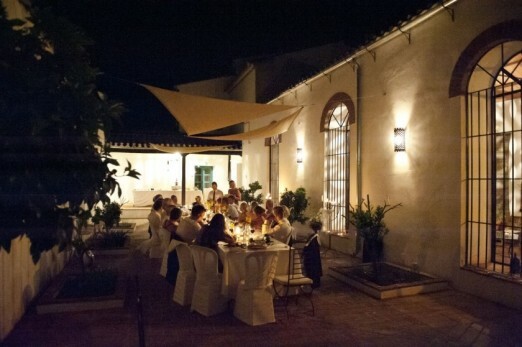 Whether you are looking for a large villa for a group or family holiday or for a venue for a wedding or workshop, Cortijo Ándalus makes for the perfect accommodation. 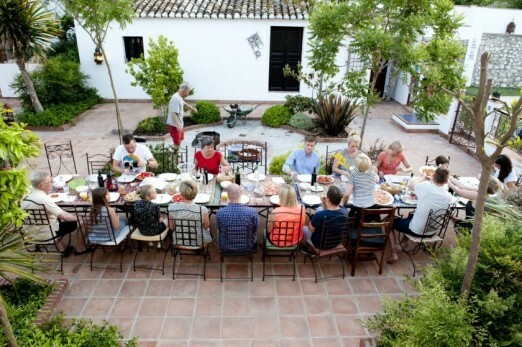 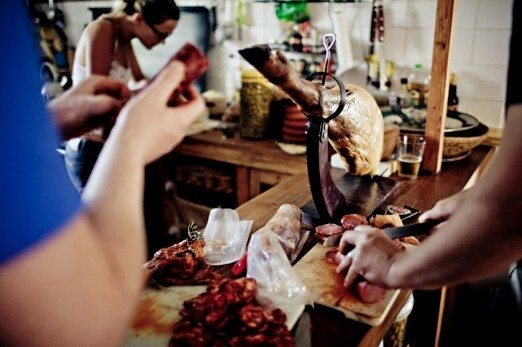 We can help arrange for some great chefs to come and cook for you as well as flamenco musicians for parties and massage therapists to help you unwind. 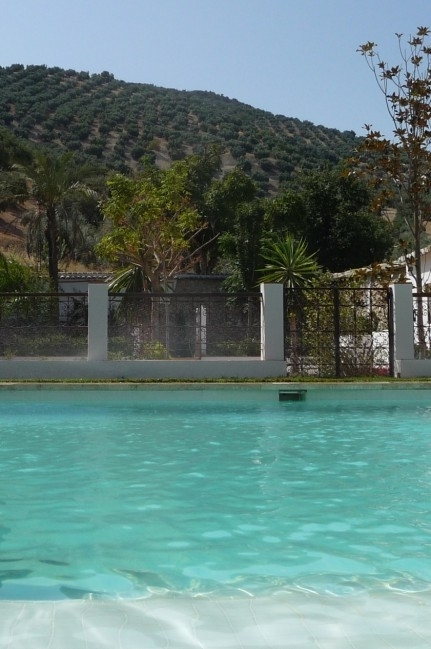 Bus transfers to and from the airport are also easy to organise as is horse riding, kayaking and mountain biking (all close by), so please contact me and we will help organise the perfect Andalucian holiday.